The leaders of Russia and the United States will meet on July 16 in Helsinki, hoping to achieve important goals. Which ones? The working visit of US National Security Adviser John Bolton to Moscow and his talks with the Russian leadership on Wednesday led to the expected success: the parties agreed on the time and place for the first full-fledged meeting between the Kremlin and the White House leaders - Vladimir Putin and Donald Trump. As it was officially announced today, it will be held on July 16 in the capital of Finland. To hold a summit with Putin and try to "get along" with Russia was one of Trump's key and so far unfulfilled campaign promises. However, since the beginning of the presidency, relations between Washington and Moscow have broken the bottom and are at an unprecedented low level, which was not even in the years of the Cold War. This was, of course, an additional reason to meet with Putin, who even began to reproach Trump on this score: how many times he promised, and where is this meeting, half of the presidential term has already passed. It seems that now this question is closed. Out of Trump's unfulfilled promises, there was only one thing left - the wall on the Mexican border is still not built. The question of the Russian-American summit meeting was discussed long ago through closed channels. Now the "parameters" of the summit, time, "a very convenient place for us and for the American side" are coordinated. The scenario is the same. The meeting will be held for several hours, in the middle of the day. There will be a tete-a-tete conversation, perhaps, some protocol event, most likely a working breakfast and a joint press conference. In addition, the presidents can agree on a joint statement that could outline the further steps of the two sides in improving bilateral relations, both in terms of joint actions in the international arena and in terms of ensuring international stability and security. Priority themes for the Russian-American agenda are strategic stability, the fight against international terrorism, regional problems, conflict situations in the world, the resumption of normal bilateral relations. Putin asked Bolton in words to convey the message to Trump: "It was a wish for success, all the best, and so on," and asked to convey that "he attaches great importance to the upcoming meeting and will prepare for it," and also "hello to Trump". The ministers of foreign affairs of both countries - Sergey Lavrov and Mike Pompeo will discuss the final touches of the summit just before it. This meeting will be of great importance for both Russia and America in the bilateral plan. The summit will be, first of all, productive for the positive image of both leaders, and all the agreements reached by Trump and Putin in the one-on-one conversation will then be carefully analyzed in Washington to see whether they should be carried out or not. At a personal meeting between Trump and Putin, the question of returning Russia to the G8 can be raised. Trump's visit to the Eastern Economic Forum (WEF) in Vladivostok is also possible, where Japanese Prime Minister Shinzo Abe and a delegation from the DPRK will also arrive. As reported by a number of media, perhaps, Kim Jong-un will participate too. 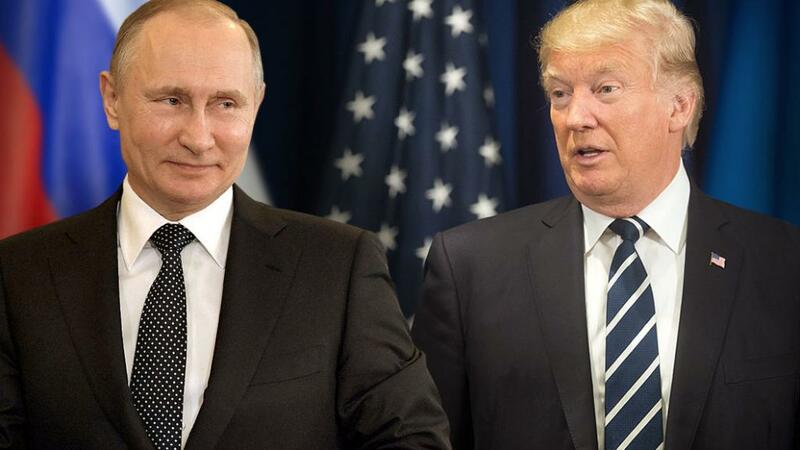 Despite the fact that Putin and Trump will discuss very serious issues when in many areas the contradictions between Russia and the United States are insurmountable, if one of the parties does not surrender, the Russian-American summit is doomed to success. The guarantee of this is the scenario of the meeting, which is, in fact, a tracing note from the Singapore summit of the leaders of the United States and the DPRK. It is impossible to quarrel at such a meeting. You can openly talk face-to-face, sign a streamlined statement, say what you need at the final press conference, and then interpret the results of the meeting as you like. Thus, no one can lose. There are at least five reasons why Putin will gladly meet with Trump, even knowing full well that there is very little chance that the US will really be able to agree on something, and if it succeeds, that these agreements will be feasible. First, the meeting on an equal footing, and even practically on its territory, in Europe, without preconditions with the US president, who himself had long been seeking such a meeting, is a demonstration to the whole world of Russia's might. It is a recognition that everything that Russia has done in recent years, including in the foreign policy sphere, was right. This is the Crimea, and Syria, and more. Secondly, relations with the US, periodic top-level meetings are something that the Russian elite has attached special importance to since the Soviet times. Such summits were loved by Stalin, Khrushchev, Brezhnev, Gorbachev, Yeltsin, Putin - with Americans, French, Germans, now Chinese ... As they confirmed the profound inner conviction of the Russian man in his messianic role that he and his country are in no way inferior by its importance to anyone in the world, that Russia must be reckoned with. Therefore, such a meeting is very important for the internal prestige of the Russian government. Thirdly, Trump's summit with Putin is a positive signal to Russia's friends abroad, who are not too comfortable openly to show their warm and friendly attitude towards it because of the global campaign to demonize it, organized by the West, primarily by Washington and London. If Trump meets with Putin, and they smile at each other, say nice things, talk about peace and cooperation, then why can not this be done by others. In Italy, Hungary, Austria and many other countries this summit will be perceived as a guide to action. The same will happen in states that are more cautious, and even hostile to Russia, both in Europe and beyond. Their ruling circles, on the other hand, are afraid that Moscow and Washington can normalize relations, and they will have to answer "ruble" for what they once wanted to have a harder time to curry favor with the same US. Fourthly, by his meeting with Trump, Putin strikes a powerful blow to the collective interests of the West, aggravates the split in "Atlantic solidarity", drives a wedge between Western supporters of "real politics" who understand that it is foolish to ignore Moscow and count on the imminent collapse of Russia playing so a significant role in the world, and numerous supporters of "values" in the West. The latter intend to continue to avenge Moscow and the Russians for being different. And they have the courage not only to be them, but also openly declare this, despising the Western taboos of "political correctness". The West consists of both, and now these two halves will begin to clarify the relationship already between themselves. Fifthly, the summit internally weakens Russia's main opponent, the US, because with new force it will generate Trump's accusations of "Russian connections" inside this country and cause another rage in their ruling elite, where many disagree with Trump's policy toward Russia, for example , his idea to return Moscow to the G8. An example of how the announced meeting between Putin and Trump already hit the Western world can be considered the information from the London newspaper The Times about the fears of the government of Therese May that the possible agreements between the presidents of Russia and the United States would undermine NATO's position that some military maneuvers with the participation of Americans that Trump recognizes the Crimea as part of Russia, as he hinted at the Seven summit in Quebec, and will begin to abolish anti-Russian sanctions. Britain too zealously gathered for war with Russia and now is afraid to remain with it one on one. An example of how the summit with Putin agitated and already provoked a squabble within the American elite is the publicly expressed criticism of Trump's idea of Russia's accession to the G-8 by the Republican Congressional Senate leader Mitch McConnell. This prominent Republican believes that Moscow can not be offered this, that Russia does not deserve this, because Putin "yearns for the old time and acts accordingly." If the Republicans react so negatively to the summit, then among the Democrats, of course, the opposition is even greater, that the US will go only in the negative. However, there are at least five reasons why the Russian-American summit is also needed by Trump. First, the US president confirms that he is a man of the word: he said that he should meet with Putin, and he meets, said that it is useful to "get along" with Russia, and will try to do it now. Secondly, Trump proves to both domestic and international audiences that he is not a president with congressional hands. That he is the real master of the White House, and not the faceless "manager" of the American ruling class. Finally, he is internally independent of the opinions and judgments of the "Washington Swamp" and the mainstream media regarding himself personally and to Russia. After all, he certainly has a secret sympathy for her because of the breadth of the Russian soul, because of his divided contempt for "political correctness", innate conservative values and because there are many beautiful women in Russia, and men have shown in history that they can they and their homeland are well protected. Thirdly, Trump apparently wants to make a positive impression on the Americans on the eve of the very important for him personally and his party mid-term elections in the autumn of this year, again after the successful summit in Singapore with the leader of the DPRK, Kim Jong-Un, "peacemaker" in front of the internal and external audience, in the hope that the "magic" of the agreements will last for a while, which will be enough for him to sit out his term in the White House. Fourthly, Trump and his team can fully expect that, having concluded with the Russians and even signing some agreements, they can get something for nothing. Since Moscow, very scrupulous in such matters, will quickly fulfill, as has happened more than once in Syria, its part of the compromise deal on certain issues, which the Americans, for their part, will not do and will not think. And we must admit that there is a danger, since Trump - unlike Putin - is not a "king" in the US, being often only a purely formal ultimate authority. He can sincerely promise something, but he can not do it.